In a time of impending climate disasters and rising temperatures, many may experience a deep-seated need to crawl back to your mother’s lap. 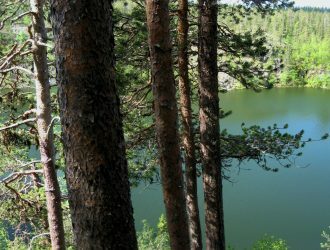 In the unique erosion cave at Högberget, you can do exactly that. I had tried to find this cave once before but without success. This time my mother and I were determined to find it, no excuses. We knew roughly where it was but we had no idea how to get there. 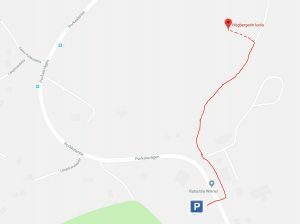 When we got to the horse riding estate, we parked our car on the other side of the road and very carefully crossed the road because it has a curve to it right there and visibility is horrid. The only way I could think of to get to the cave was past the horse estate. We turned left to go past their carpark, and we arrived to a small horse enclosure with its gates open. Through the enclosure you could see the walking path continue into the forest, moving in a slight angle up. We followed the path but didn’t go into the enclosure; there was a tiny path going around it and it was a lot less muddy. We walked alongside the hill to our left and the pastures to our right. You only have to walk about 300m from the enclosure and then you will probably see the entrance to the cave high up on the hill to your left. We used Google Maps to locate ourselves. You can check out from here a picture of what you’re looking for. We walked gently uphill because it was a bit muddy and slippery as well. The mouth of the cave is looks wavy as well and it has a huge pine tree next to it. Basically, it looks like someone has cut open a cake that has a hole in it. It’s quite amazing. 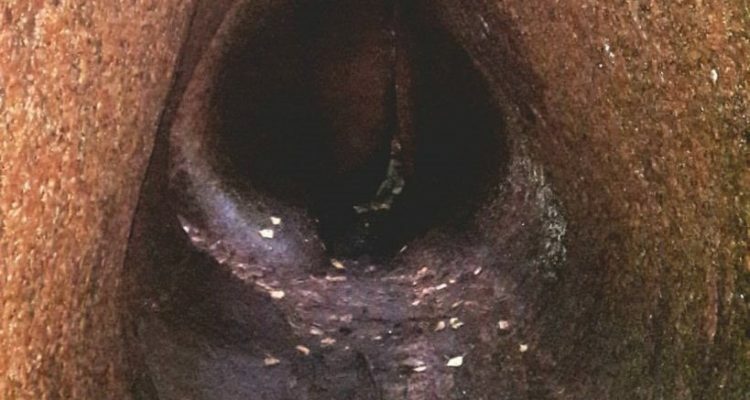 But the truly magnificent thing is inside: the womb of Mother Earth. There are a few entrances to the cave but only the main entrance is large enough for adults. There is a hole in the ceiling of the cave where you can see sunlight streaming in. The enclosed space really makes you feel like you are protected and safe. 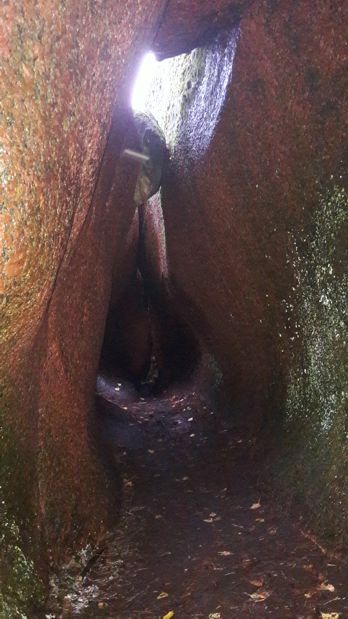 This womb-like cave was created during the last Ice Age when melting waters rushed in and carved this unique vertical giant’s cauldron into the granite. The cave itself is not huge, about 6,5m long, 2m tall, and about 1m wide. It’s possible this place has been worshiped due to its Mother Earth-shape so if you visit, respect the wonder of nature as well by taking away any rubbish you may see. Address: Type Porkkalantie 152, Kirkkonummi on your navigator. It will take you next to a horse riding school closest to the cave. 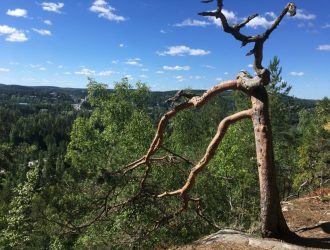 How to get there: You can get to the Högberget cave by car, by bicycle, and by public transport. 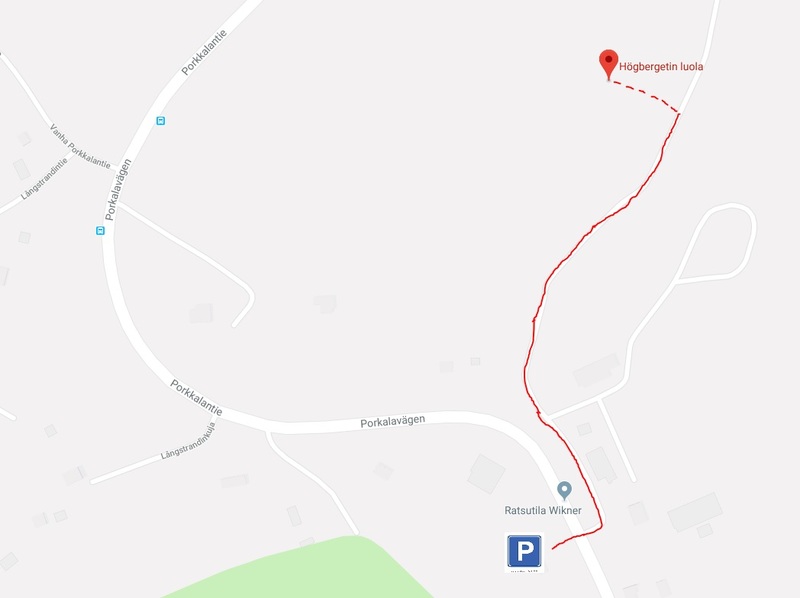 Car: Set Högbergetin luola or Porkkalantie 152 on your navigator. You will have to leave your car opposite from the horse riding ranch and walk to the cave. Bicycle: There are no specific pedestrian or cyclist roads in this area so you will have to cycle next to the road. 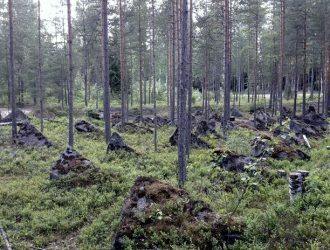 Public transport: Getting to bolt bunker fort from, for example Helsinki, is relatively easy and there are buses going there several times a day. By public transport, the travel time is about 1h one way from Helsinki, and the quickest way is to go to Kirkkonummi by train and then change to a bus. Check the timetable from the Capital area Route planner. The nearest bus stop is called Gunnarsby. The walk from this bus stop to the fortifications is about 700m. Accessibility: You will have to walk uphill about 50m through brushes to get to the cave. To get to near to the cave, you can use a walking path (note that there is no winter clean-up of these paths). You can take a children’s buggy and leave it down on the walking path but the cave area doesn’t have any proper paths. 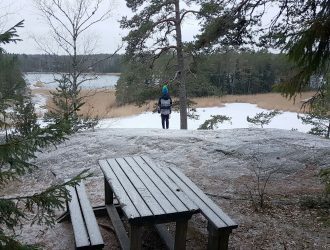 When to go: You can visit the cave at any time of the year but the best time is when there is no snow because the roof of the cave is slightly open and snow may fall in. Also note that there are no lights in the area so make sure you visit the area when there is enough light. What to wear: Mosquito repellent in the summer. Hiking shoes are good but normal sneakers will suffice as well. It sometimes gets a bit muddy so good shoes keep you from falling over. Special to remember: You have to walk past a privately owned horse riding estate so make sure you respect their privacy by not making too much noise and not disturbing the horses.